The early days of dating are a heady time for any couple. The world seems more beautiful, the two of you are always out on magical dates and you’re always searching for new ways to show your love for each other. In a perfect world, the honeymoon phase would last forever. Unfortunately, however, once work and other responsibilities start to creep in, romance takes a back seat. Most of your conversations begin to revolve around grocery lists and whose turn it is to keep the dishes away. If you feel you’ve sunk into a routine, then it’s time you took some time off to rediscover your love for each other. A holiday is a perfect way to take a break from normal life and spend time alone together. India is packed with top-notch honeymoon destinations to kick-start your journey as a couple. 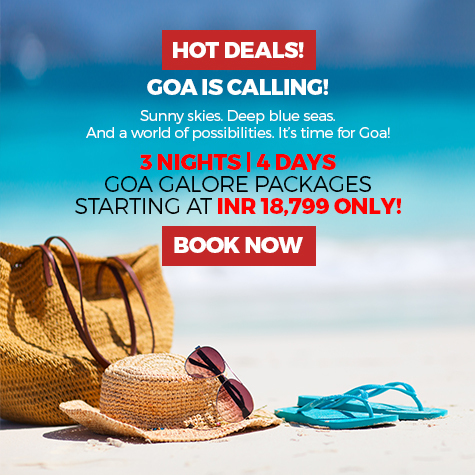 But, with our offbeat romance ideas, the honeymoon phase never has to end for the two of you! Head out to one of the top romantic destinations in India to rekindle your love. A candlelight dinner by the pool could turn even the most stoic person into a romantic sap. When you feel like you and your partner need some quality time to reconnect with each other, a candlelight dinner could be the perfect way to do this. Imagine eating delicious food while you gaze at each other surrounded by the warm glow of candles. At Sterling Dindi, a luxurious holiday resort by Sterling, you can do just that. Set by the banks of the scenic Godavari River, our resort at Dindi offers you plenty of ways to rekindle the romance in your relationship. A delicious four-course meal by the pool is sure to reignite the romance and tantalize your taste buds. Fish freshly caught from the Godavari River will be specially prepared by our chef and served to you and your partner for an unforgettable meal. So book your private dinner to fall in love with your partner all over again in the most delicious way. Forget about boring dates in front of a TV, on this trip, take in the beauty of an endless sky of stars with your partner. When you go star-gazing with your loved one, it almost feels like you’re the only two people in the world. Under a canopy of stars, it’s easy to forget all your stress and just focus on this amazing person you’re lucky to have in your life. A romantic weekend in Sariska isn’t complete without a night under the stars. At Sterling Sariska and Sterling Corbett by Sterling Holidays, you can book a stargazing session for just you and your loved one. Situated far from the city lights, at these resorts, you will be able to have a completely unobstructed view of the millions of stars in the galaxy. Our guide will even help you identify various stars and planets in the night sky. To make the night even more magical, book a special private dinner under the stars for you and your partner. Twinkling stars, beautiful greenery all around you and delicious food will make this one of the most unforgettable dates you’ve ever had. Ever been to a movie and wished you and your partner were the only two people in the theatre? For your next getaway, rekindle the spark in your relationship by actually making this come true. Private movie screenings give you and your partner all the seclusion you need to cuddle together and bring back the romance. Choose from a plethora of premium movies from classic Hollywood films to heart-warming Bollywood movies that will inspire you to travel. At Sterling Kodai Valley, you can book a theatre for a special screening of a 3D movie just for you and your loved one. While you immerse yourself in the movie, your every need will be taken care of. Delicious snacks and beverages will be personally brought to your seat while you watch the movie. Once it’s over, we will serve you a delectable meal in one of our many picturesque locations within the resort. We guarantee this will be the best movie date the two of you have ever had. The only thing better than a relaxing massage is a massage with your partner. It can be difficult to be romantic when you have work pressures and stress piling on top of you. The perfect way to relax and make room in your life for love is with a pampering session at a spa. A great massage can help the two of you unwind and lift away all the tension you’re carrying around. When you’re on a romantic getaway, a couple’s massage ensures that you don’t have to spend a single moment away from your loved one. 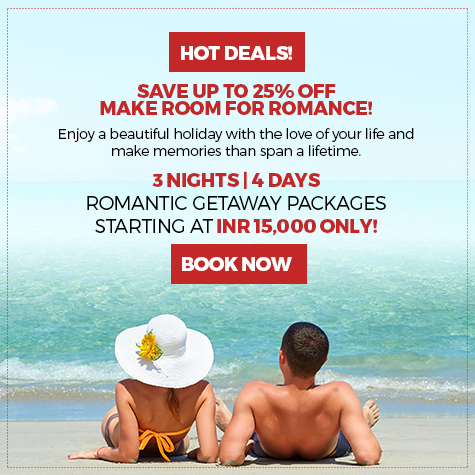 If you’re searching for romantic destinations you can book for a getaway with your loved one, look no further than Sterling Resorts. Our luxurious resorts are fitted out with the best comforts and friendly staff who want to make your vacation memorable. Visit Sterling Holidays for beautiful resorts located in some of the most scenic spots in the country.